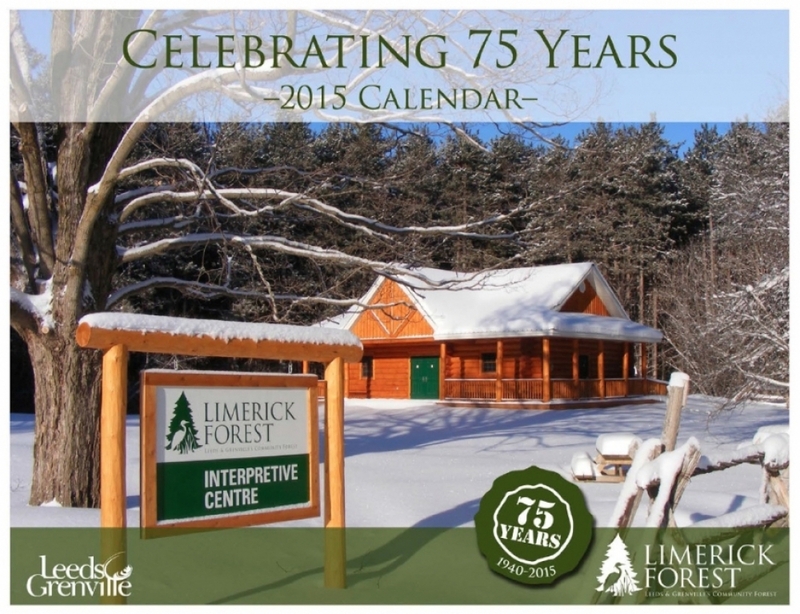 Recently, we were asked to design a calendar to celebrate the 75th anniversary of Limerick Forest – a 5782-hectare community forest located in eastern Ontario, owned and managed by the United Counties of Leeds and Grenville. Originally formed by reforesting abandoned farmland in the 1940s, it now encompasses wetlands and second growth mixed forest. Trails and pathways crisscross the forest. What makes the calendar so awesome (apart from the great design! ), is the amazing collection of photos taken by County Forester Geoff McVey. Using his stunning photos, the story of Limerick Forest is really brought to life – hoping to inspire viewers to go outside and play! Anyone who has taken a walk in the woods, or gone for a cross-country ski through a pine forest knows how good it feels. Well, it turns out it’s not just the fresh air and exercise that’s good for you. What you’re feeling is a dose of Forest Therapy. Forest Therapy is a concept that started in Japan. The Japanese word for it is Shinrin-yoku, meaning "taking in the forest atmosphere" or “forest bathing”. Developed during the 1980s, it has become a mainstay of preventive health care and healing in Japanese medicine. Researchers have produced tonnes of literature on the health benefits of spending time under the canopy of a living forest. People need nature. Our food, our water, our livelihoods, our well-being — they all come from nature. Conservation International has just launched a powerful new series of videos with the theme Nature us Speaking. We need to be listening. Sign up for our newsletter, All About Marketing. Keep up with the latest in marketing trends and current projects. TD Graham + Associates designs and produces persuasive marketing communications strategies and tools for businesses and organizations looking to engage and build relationships with their audiences.